Red Oak Dachshunds a small home based breeder of miniature dachshunds located south of Dallas Texas in beautiful Red Oak. 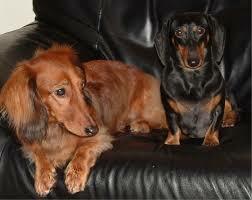 Red Oak Dauchshunds only breed miniature dachshunds and only have a few litters per year. Red Oak Dachshunds are small and like to keep it that way. All Red Oak Dauchshunds dogs are pets first and all their puppies are played with and handled every single day.